Arasavalli Temple Sun rays touch Lord's holy feet inside the Sanctum Sanctorum. This happens twice in a year, one is at Uttarayana beginning Time and Second occurrence will be on Dakshinayana beginning time i.e Mar and Sep/Oct. This happens in the early hours between 6:00 am - 6:10 am in a day and the rays remain steady on the deity for few minutes ie. 3 -4 mins in a day and this continues for 3 days. The sun rays pass through the temple tower and touches the head and slowly comes down to the feet of the Sun God. It is believed that these rays increase the power of the deity so worshipping deity during this temple will be auspicious. It is believed that these rays have the power to cure Skin and eye related problems. 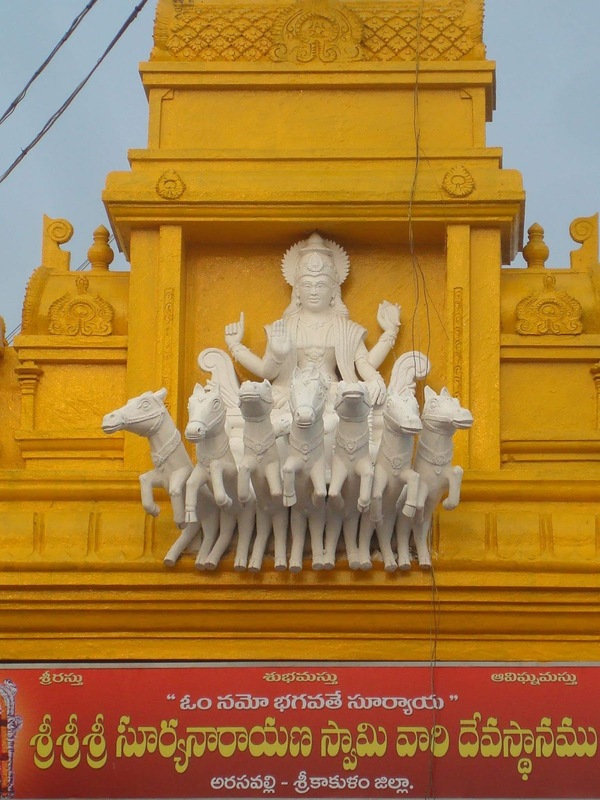 This temple was first constructed by the divine architect Viswakarma. 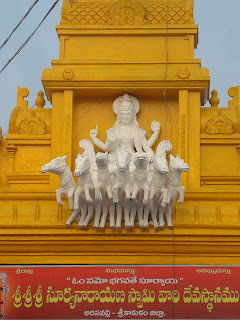 Sun God Idol was installed and worshipped by Indra, the king of Devas. The Main deity Suryanarayana Idol was exquisitely carved on a black granite stone.